When a homicide occurs, the surviving family and friends of the victim suffer one of the most horrific traumas imaginable. Not only are they deprived of a person around whom their emotional lives centered, but family members may also lose much or all of their economic lifeline as well. All their hopes for the future—indeed their very survival—are threatened. And when they are least prepared to cope with it, they often must endure public scrutiny of their suffering through the media and ongoing involvement in the criminal justice system that can last years or even decades. The purpose of this webpage is to help crime victims locate and access the services that are currently available both from public and private agencies. If readers of this page are aware of other services that are not listed here, please email us at victims@oadp.org so we can add them. This website is an excellent place to start. It provides information about compensation for victims of crime, restitution, victims' legal rights, victim information and notification services, local victim assistance programs, and many other topics. The Oregon DOC provides information, upon request, about where an offender is housed and when s/he is scheduled for release. Through its speakers bureau, the DOC provides a safe venue in which victims/survivors of violent crime speak to groups of inmates about how crime has affected their lives. Through its facilitated dialogue program, DOC also provides an opportunity for victims, if they so choose, to initiate and receive counseling to prepare for a face-to-face dialogue with their own offender. The Oregon Parole Board website provides information about how victims may be informed and participate in the decision as to whether or when an offender is released. It also provides a list of county victims assistance contacts at this link. The Oregon Crime Victims Law Center is a non-profit, 501(c) (3) organization that advocates for crime victims to ensure that they are treated as integral parts of the criminal justice system. Representation is provided for crime victims at no charge. Portland’s Parents of Murdered Children and Other Survivors of Homicide Victims chapter is a self-help support organization made up of people whose loved ones have been murdered. They provide support, information about the grieving process and justice system, communication with helping professionals, and public education. Compassionate Friends provides monthly support meetings for parents who have lost a child (or children) to death by any cause. There are about twelve chapters around Oregon. Legal Aid Services of Oregon, among other services, puts a priority on assisting victims of domestic violence, abuse and sexual assault. Child Abuse Intervention Centers provide a child-friendly environment to conduct collaborative investigations, assessments, and intervention in reported cases of suspected child abuse. This website provides information about and links to Intervention Centers in Oregon. Click on the tab "Are you looking for help?" to find resources for victims of many forms of domestic and sexual violence. Crime Victims United of Oregon advocates in the Oregon Legislature and by initiative petition for victims rights legislation, mandatory minimum prison sentences, and construction of sufficient prison facilities. Restorative Justice is based on the idea that crime harms the victim, the community and the offender; that justice requires the offender be held accountable to repair the harm to the extent possible; that victims and the community have the right to participate in decisions concerning an appropriate response to the crime; and that the participation of all parties provides the best opportunity for trust to be restored and future crime prevented. The Deschutes County Juvenile Community Justice Program is an example of a comprehensive restorative justice program in the juvenile arena. Resolutions Northwest provides opportunities for restorative justice practices in the community and in correctional institutions, including facilitated dialogues, youth impact panels, and school outreach and education. The Department of Corrections provides opportunities for victims to initiate a facilitated dialogue with their incarcerated offender. Participation is voluntary for each party. The Domestic Violence Safe Dialogue Program provides a safe setting for domestic violence survivors and offenders to engage in a one-time conversation about the violence they have experienced. The survivor and offender do not know one another, have had no previous relationship and participate voluntarily. Murder Victims' Families for Reconciliation is an organization of people who have lost loved ones to murder or to execution by the state. They advocate for abolition of the death penalty in many states. Murder Victims' Families for Human Rights is an organization of people who have lost loved ones to murder or to execution by the state. 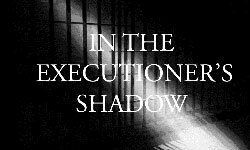 They view the death penalty as a profound violation of human rights and advocate for its abolition nationally and internationally. The National Center for Victims of Crime provides resources for crime victims and advocates for a system of "parallel justice," in which society places equal emphasis on holding offenders accountable and repairing the harm done to victims of crime. National Crime Victims Law Institute is a national organization based out of Lewis and Clark Law School in Portland, OR. It advocates for legal rights for victims at the state and national level. Its website provides links to state-based organizations that assist victims to enforce their legal rights. The National Organization for Victim Assistance website provides a list of organizations that support victims of various forms of criminal behavior. The Office for Victims of Crime of the U.S. Department of Justice provides a website with a wealth of information about assistance for crime victims nationally. Rev. Marilyn Sewell, retired Unitarian Minister, noted author, prolific editor and valuable member of the OADP Advisory Council, has made a significant donation to OADP... Insights into her enormous writing skills. Her article "How to Write a Letter to the Editor and Get it Published" focuses on how to write effective letters to editors.